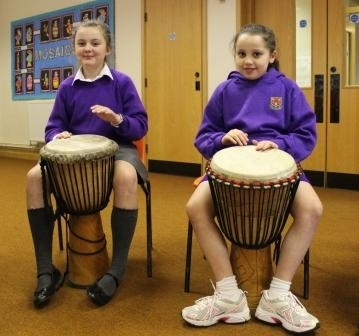 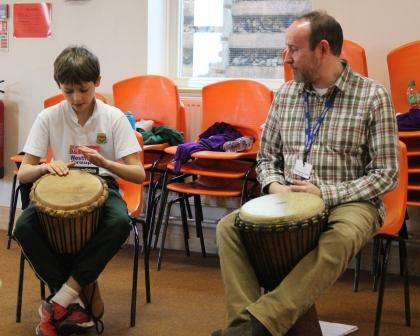 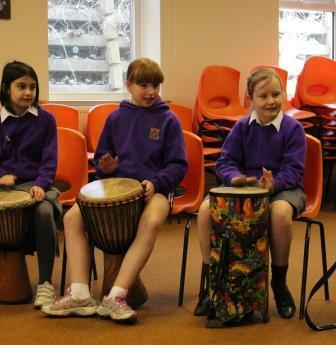 Today Year 5 have enjoyed a drumming workshop with Mr Ian Bamford from Bolton Music Centre. 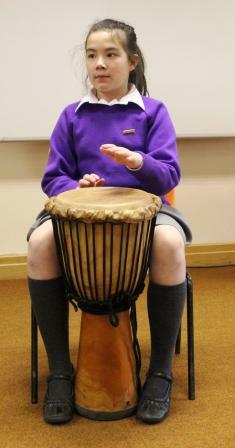 He brought with him a selection of djembe drums and boys and girls were taught how to play them. 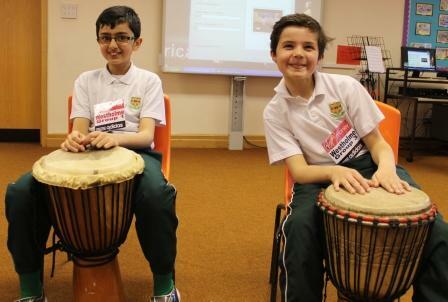 They discovered that the drums were carved out of wood and covered in goat skin. 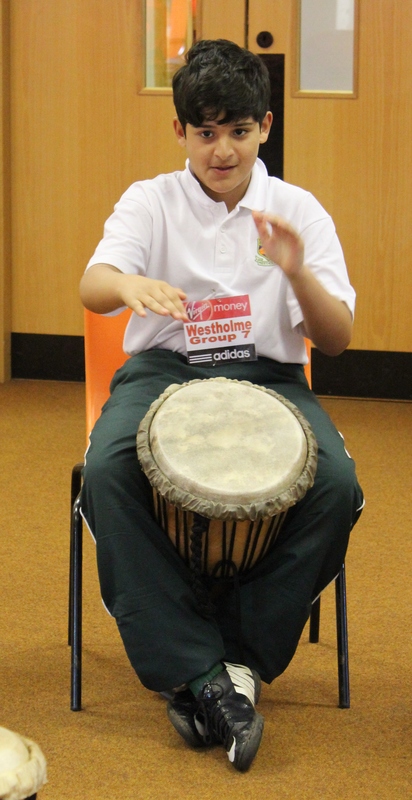 Children learnt a number of rhythms, played beat games and were able to put together an impressive piece of music.